Hi there! 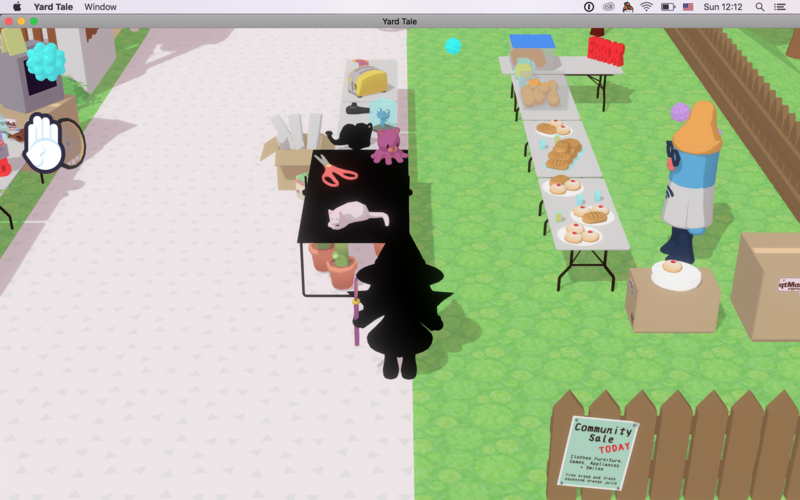 Love the concept for your game and bought it on release, but am having issues that render the game awkward on mac. I tweeted to one of the developers about four days ago but haven't heard back, so I figured this would be a better place. There appear to be a few textures not loading (see main character, ERROR in top right, and possibly the table nearby). The game also takes control of the mouse during gameplay, so taking screenshots is a bit difficult. Also, the Quit button doesn't work on the pause menu, and combined with having no control of the mouse I have to close my laptop to get control back and then force quit the application. Note, I originally tweeted about frame rate issues dropping to an unplayable level, but since then I've changed the screen resolution and graphics quality, and that solved that. Please help me out here -- I really want to play the game as designed! Thanks.